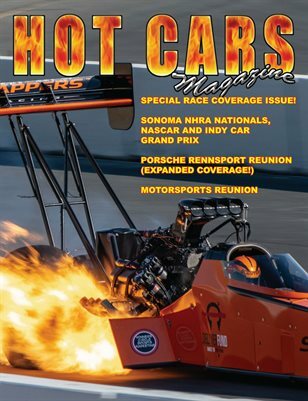 In our yearly "special auto racing issue", we bring you some great racing coverage from Sonoma Raceway, and WeatherTech Raceway Laguna Seca! Coverage from Sonoma includes: NHRA Nationals, Indy Car GP, & NASCAR! While Laguna Seca coverage includes: Motorsports Reunion, Porsche Rennsport & Continental Tire GP! Feature car is Racon's Red Ranchero.